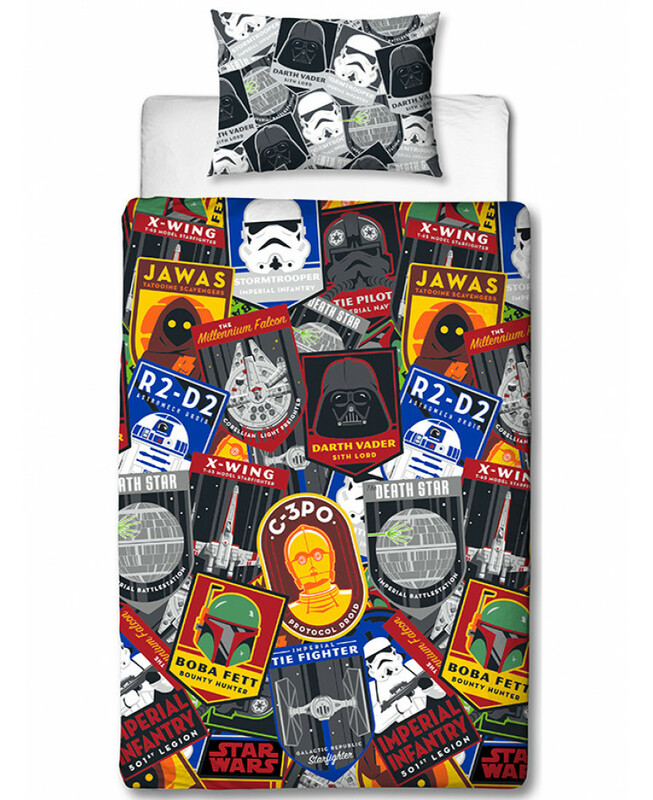 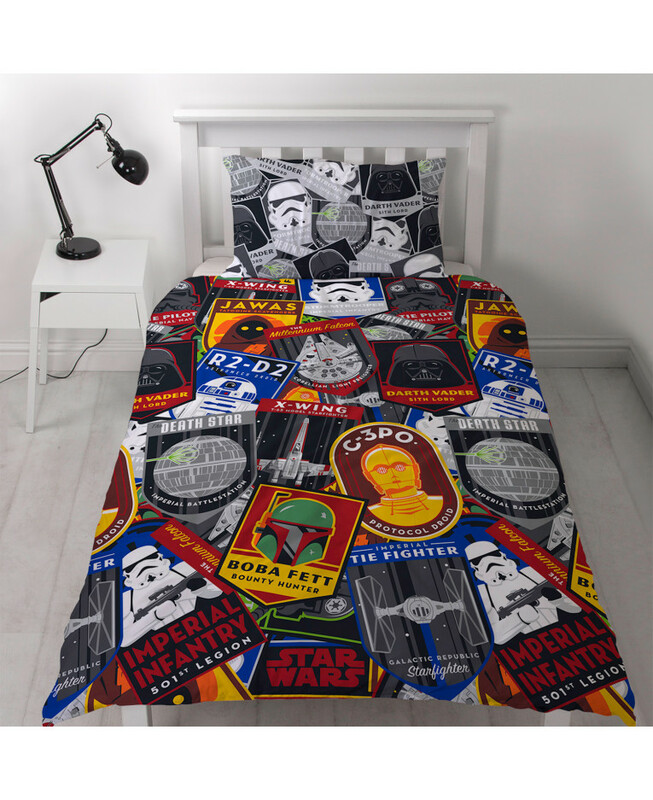 Star Wars fans of all ages will love this Star Wars Classic Patch single duvet cover set! 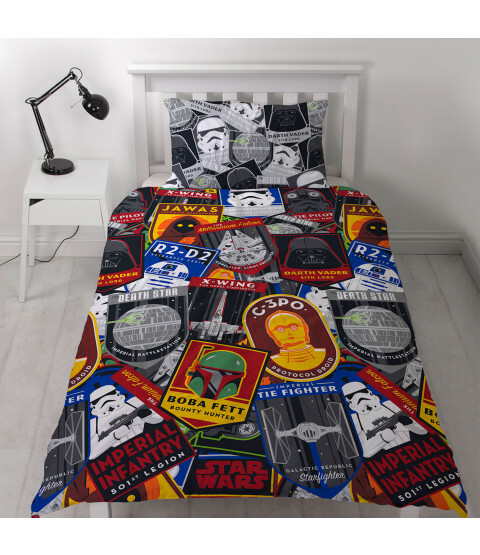 The design has a cool collage style theme on the front, with overlapping images of Star Wars favourites including Boba Fett, Darth Vader, R2-D2, C-3PO, a Jawa and a TIE fighter. 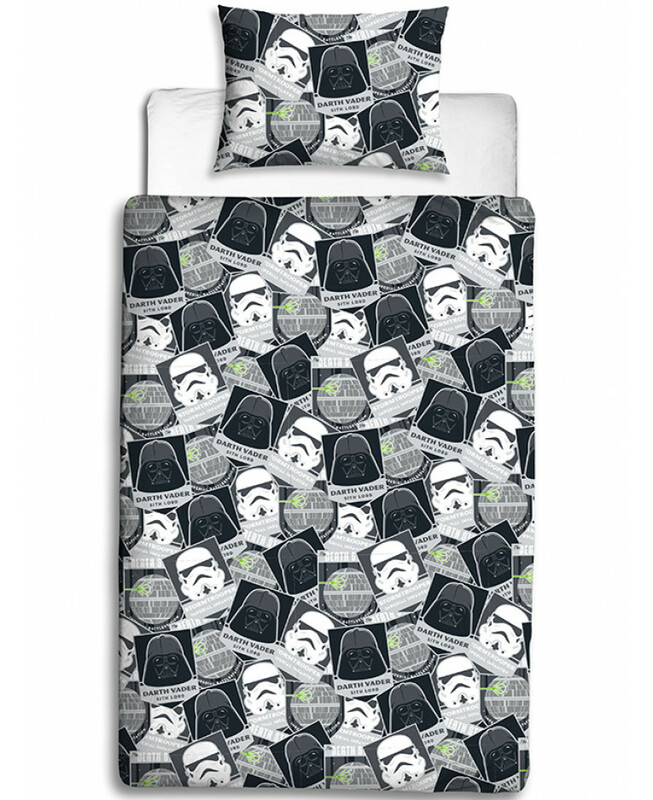 The reverse has a similar black and white design that features Darth Vader, the Death Star and a Stormtrooper. 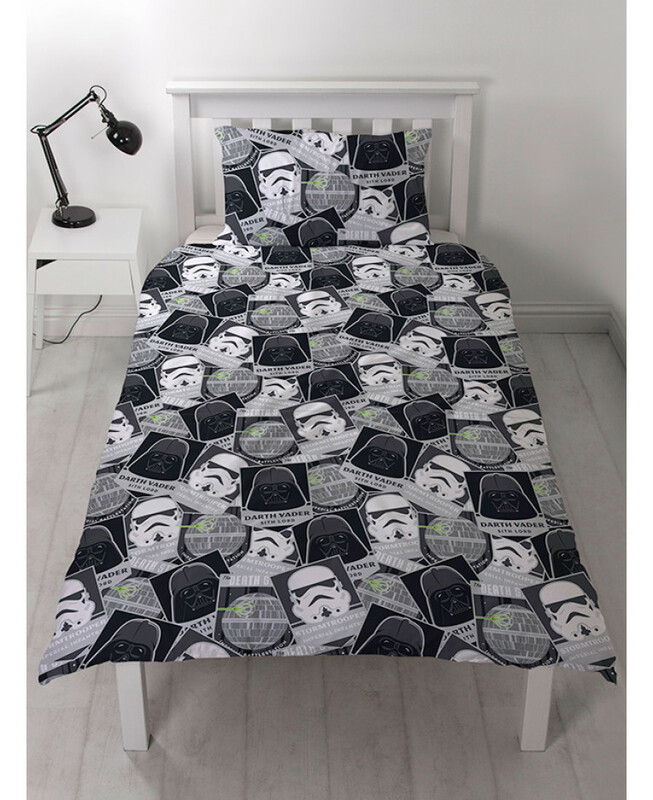 This item can be machine washed and tumble dried on a low setting.